We decided to plant a few flowers in amongst the lettuces, parsley, leeks, basil, red and yellow peppers, marjoram, dill and squash. The lettuce made a fantastic salad mixed with a few of the fresh herbs and some of our marvelous Tuscan olive oil. 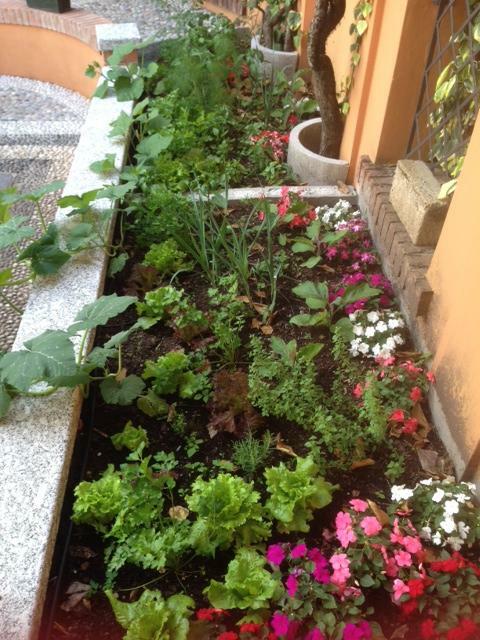 This entry was posted in barzanò, brianza, food, italy, poggioverde. Bookmark the permalink. ← May 2014 : The Kitchen Garden is Planted!